I love great views. 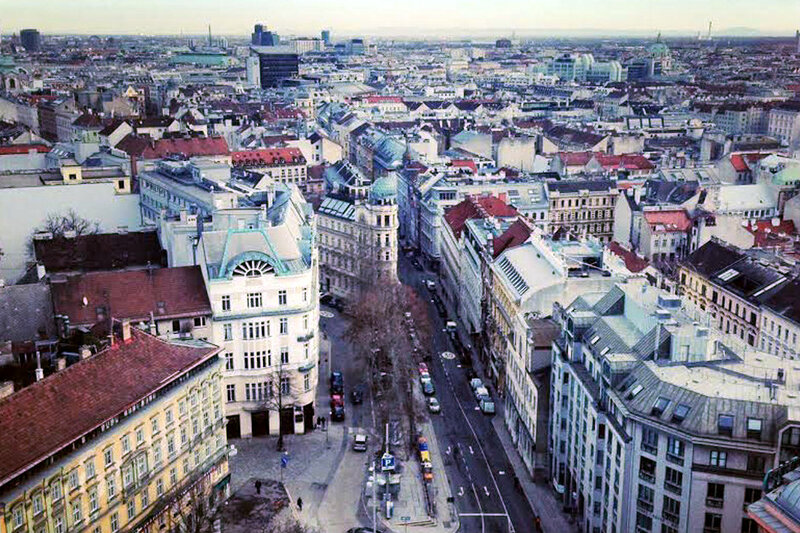 Given the absence of an ocean in Vienna and therefore no actual horizon to watch the sunset, I stick to city views. 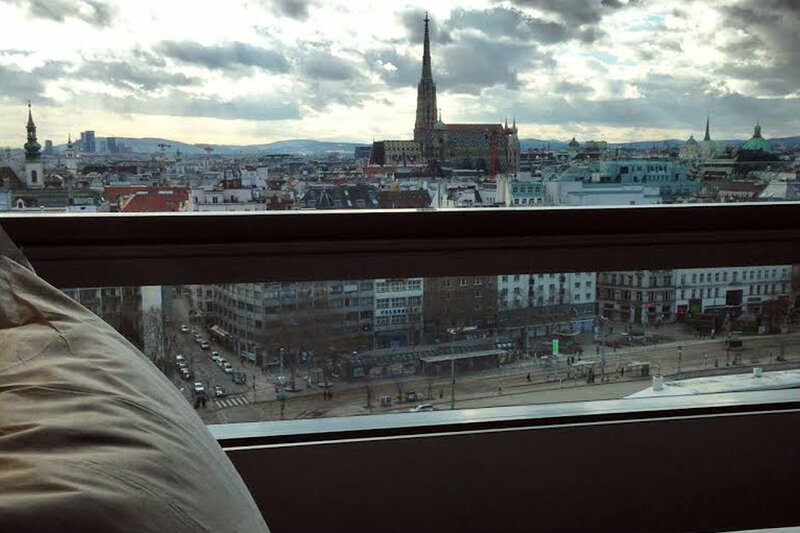 If you are more of a lazy character (with roughly 265 EUR more at hand) and prefer a city view including the cathedral, there is of course also the option to just book a room in Vienna´s Sofitel (designed by wonderful Jean Nouvel). 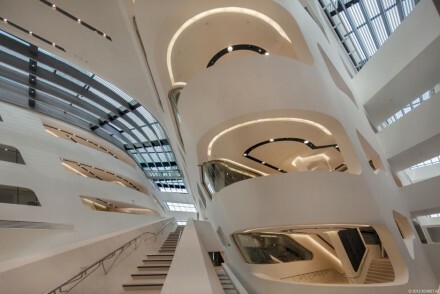 For those of you who like to combine a great view with underwater adventures and war history, there is another not as well known and not as often frequented spot by tourists for enjoying the city´s street canyons: Vienna´s aqua terra zoo „Haus des Meeres„. 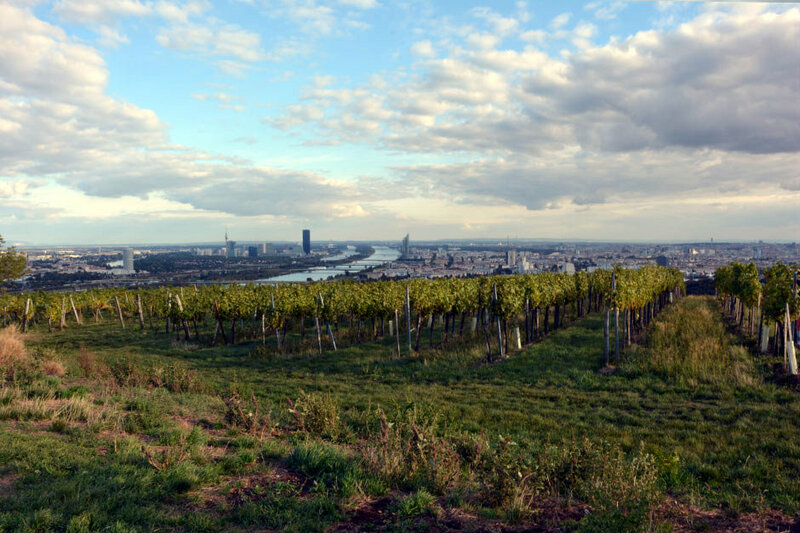 Located in an old Flak tower dating back to the second world war which has been put into re-use as a home for exotic animals, the Haus des Meeres also has a small café high up on its roof where you can enjoy a 360° view of Vienna. 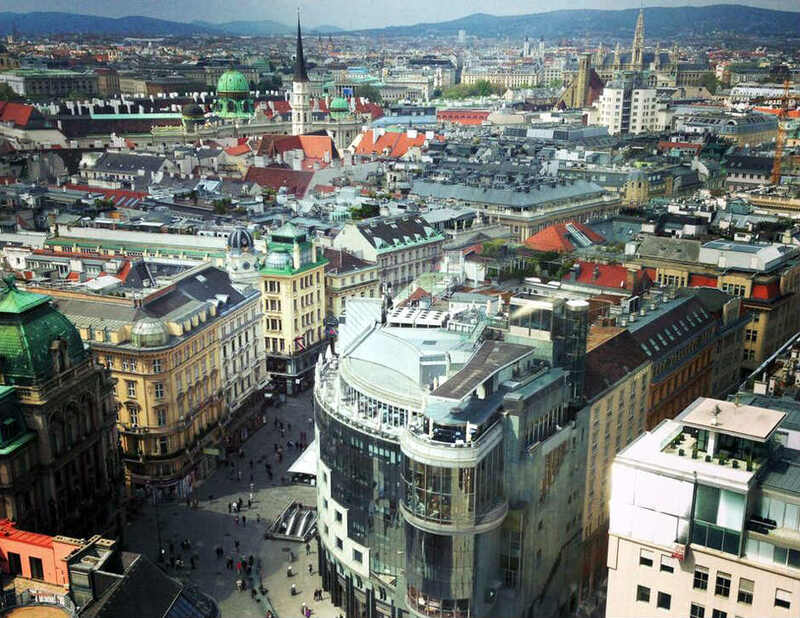 We have one more great city view for you – it’s called „Wiener Blick“. I’ve actually been there last weekend. 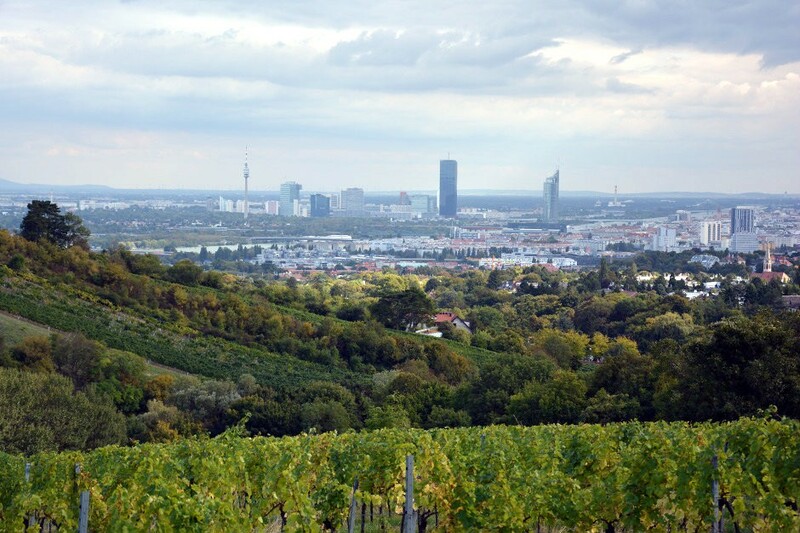 Like the vineyard view it’s some kind of beautiful mixture of nature and city. Especially pretty in autumn as you see. 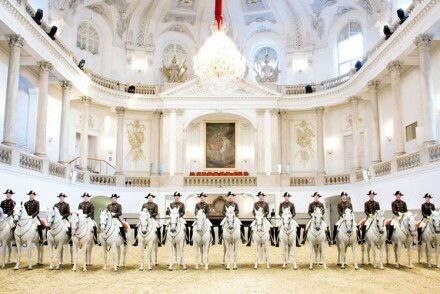 You just have to go to Lainzer Tiergarten to experience this lovely scenery. 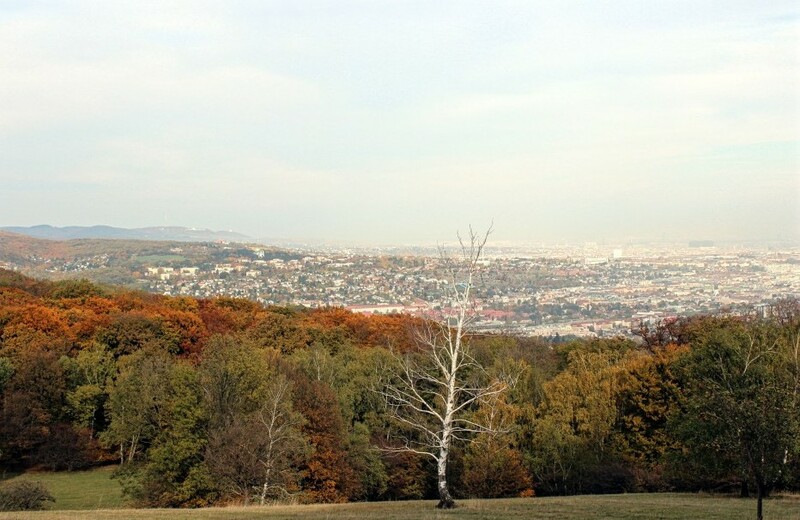 This huge suburban recreation area is part of the Vienna Woods – an even huger wooded area that is UNESCO protected – and you can enter it from several entrances. I chose the entrance Lainzer Tor in the 13th district. From there you walk about 45 min. following the signs: Wiener Blick. 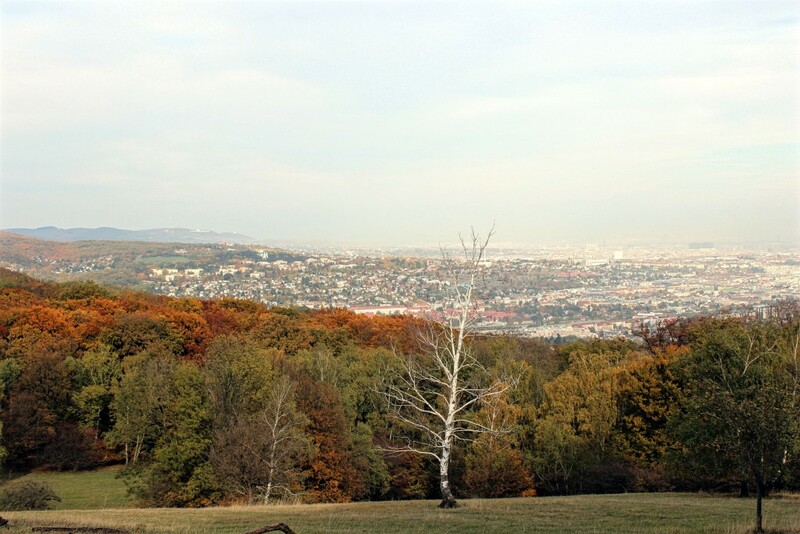 There are some benches and a big meadow – so bring a blanket with you, relax and enjoy the stunning view. Do you know any other great spots to enjoy the view? Feel free to tell us in your comments. Oh, and have a great day!